You may have seen one of these funny little squares that kind of remind some people of a maze. It’s not child’s play—it’s a high-tech way of responding to a printed brochure or a magazine ad. With one press of a button, anyone with a mobile smartphone can instantly view your website, dial your phone number, and more. At Page Marketing Solutions, we can help you take advantage of this fast growing science. We’ve always thought a good mix of media, including print, drove the public to specific websites. Now there is a powerful new tool to make that even more of a reality. Inside the maze, known as a QR Code—usually printed in about a 1.5-square inch space—is the “code” needed to instantly view a web or mobile site on a smartphone. 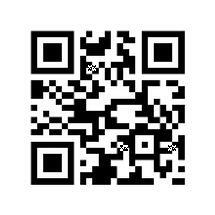 Just include one of these QR Codes on your next brochure and it will almost magically attract new potential business. We can generate the code, and you can reap the benefits. QR stands for Quick Response, and it does work quickly. It’s as easy as taking a photo using a cell phone, and it only requires a simple, free app available for almost any smartphone such as a Blackberry, Droid, I-Phone, and many more. In fact, many smartphones have this capability already built in when you purchase it. So, you pick up a brochure or see a magazine ad that includes a QR Code in it. Just whip out your smartphone, open the app, and take a picture of the QR Code. Within seconds, your smartphone does whatever the QR Code tells it to do. Usually, that means loading a website, but it can also cause your phone to dial a phone number or download specific "offline" information not on a public website. The most widely adopted type of QR Code looks like the one shown here. It is printed in black on a white background, about 1.25 inches square, with an extra white “border” of about a quarter inch. Some apps can read smaller versions of the QR Code, but to make sure the widest audience has success using a QR Code it should be printed no smaller than this, and always include the white border. The fewer “characters” a QR Code includes in it, the higher the success level. A simple www.yourwebsitename.com will have more success than a long string of characters, punctuation marks, and numerals.You can have several different QR Codes within a brochure, but it’s a good idea not to position them near one another. As this technology progresses, QR Codes may also incorporate words or logos visible within them. There are also competing types of Codes—including one utilizing full color—but for now the two-dimensional black-on-white format that looks like a maze is being used the most. If you want us to include a QR Code on your next printed project, just let us know. We’ll use special software to generate the code and place it within your layout. When you get your proof from us, be sure to print out the page(s) containing the QR Code(s) and test using as many different smartphones and apps as you can to make sure it does what you want it to do. And now, just for fun, go ahead and print out this page. Then use your smartphone's QR Code app to snap an image of the QR Code above. It should take you to the website of the national newspaper, USA Today. Then, imagine how many more visitors you might get to your own website if you let us create a QR Code for your next print project.